Carishma Basday is a professional actress, dancer and model. The dynamic starlet has always had a penchant for the limelight. Starting Ballet at age 4 she has since trained in many styles of dancing including modern dance, jazz, contemporary, hip hop, belly dancing, funk, fusion, salsa and Latin American. In 2005 she traveled to Chicago as an exchange student. While fulfilling her duty as an exchange student by helping various charities such as hurricane Katrina victims and educating people about her beloved South Africa, she also found the time to be a journalist for a local paper, a news anchor and journalist for a local news channel, and follow her dreams of becoming a professional actress and dancer by landing a role in the play Les Miserables and a dancing show. In 2008 she obtained her degree in performing arts and media studies. She also acquired a diploma in behind the scenes work such as editing, scriptwriting, lighting, directing and producing. 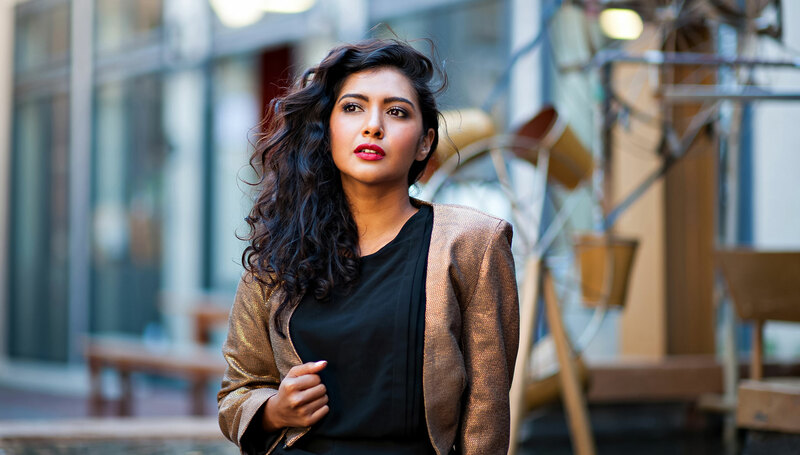 Carishma then decided to follow her dreams to Cape Town where she attended Act Cape Town where she trained as a film actress. She signed with the Artists One agency in 2009 and has never looked back. Having done many TV commercials both nationally and internationally she returned to her love of theatre in 2010 with the phenomenal award winning site-specific theatre spectacular Betesda directed by Nicola Hanekom, and then went on to complete the muliti-award winning Hanekom trilogy with Babbel in 2012. She has recently shot two feature films 31 Million Reasons in 2010 directed my John Barker and starred in her first leading role as the love interest of famed comedian Riaad Moosa in Material directed by the award winning Craig Freimond. She also takes the lead as Sunita Patel in Deep End directed by Eubulus Timothy. She has been featured in numerous magazines such as the Marie Claire Naked Campagin issue and voted the 19th sexiest women in the world in 2012. As an intensely creative soul she is currently writing a feature film and a theatre production and conceptualizing a wellness show focusing on women. She has just joined the cast of Mela on SABC 3 and loves being a presenter for the lifestyle show. Being a child of this universe and a spiritual being Carishma decided to do a 200 hour yoga teacher training in India and since had been teaching yoga and inspiring and enlightening as many souls as she can on her path. She has recently completed her 500 hour advanced teacher training. She is an avid traveler and wanderlust flows freely through her veins, she delights in experiencing new cultures and being a complete foodie she adores sampling delectable morsels from around the world but also has a deep passion for local and organically sourced foods. This feeds her passion for nutrition and she is a wizard in the kitchen whipping up delicious and nutritious superfood delights. Carishma also has a deep love for animals and nature and works closely with charitable organizations like WWF and DARG. In her free time you will find her hiking with her dogs, working in her organic veggie garden, burying her nose in a book or spending time with family and friends and enjoying life to the fullest.